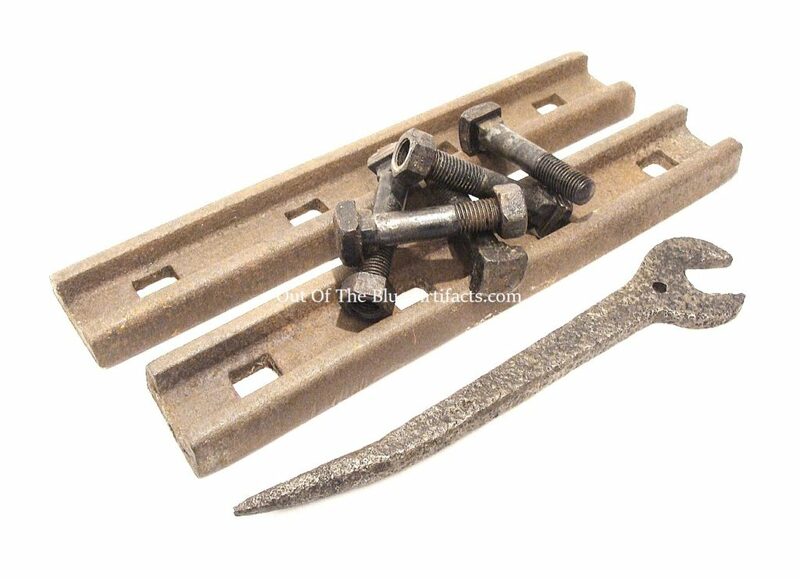 Ring Plates, Bolts and Ring Spanner. Sizes : Plates 18″ x 3″ inches. Bolts 5″ x 1 1/4″ inches. Spanner 15″ inches. Made from Iron. 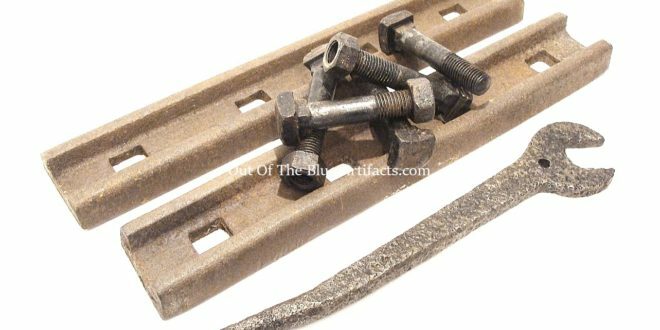 These straight plates were used to connect extension pieces to the rings Iron H section girder roof supports together underground. The spanner has a pointy end used as a Podger to help align the plates to insert the bolts through. This spanner also has an hole through it so as to put it on a tool bar!